One of the West Coast's oldest known killer whales is missing and presumed dead. The whale, identified as J-2 but affectionately called Granny, hasn't been observed since Oct. 12 according to Ken Balcomb of the Centre for Whale Research in Washington state. That was when Balcomb last saw Granny leading her pod north through Haro Strait. 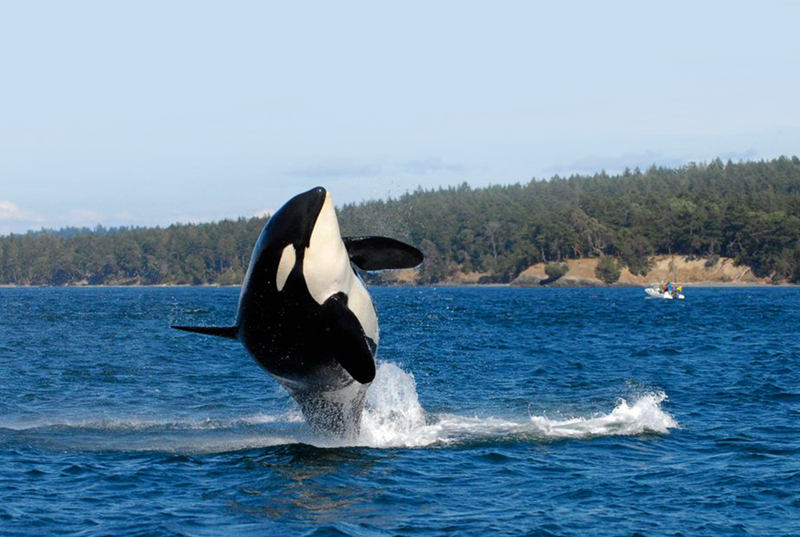 "Perhaps other dedicated whale-watchers have seen her since then, but by year's end she is officially missing from the SRKW population, and with regret we now consider her deceased." The matriarch of J-pod was one of the first identified by researchers in the 1970s. Based on studies of her family group, it was estimated she was born as early as 1911, making her up to 105 years old. The pod is the most studied population of killer whales in the world and the lifespan of a wild orca is generally 60 to 90 years. "She is one of only a few 'resident' whales for which we do not know the precise age, because she was born long before our study began," added Balcomb." In 1987, we estimated that she was at least 45 years old and was more likely to have been 76 years old," he said. The death comes as a blow to the endangered resident southern population, which lost several members in 2016. A 2015 baby boom of eight calves had previously bolstered the population to 85 individuals. "The population is now estimated to be 78 as of 31 December 2016, and J-pod contains only 24 individuals plus the wandering L-87," said Balcomb. While individual causes of death vary, researchers blame the overall decline on a shortage of Chinook salmon, their primary food, and high toxin levels in the blubber due to pollutants in the water and food. During years when Chinook and other fish stocks are poor, orcas are forced to metabolize their blubber, subsequently releasing toxins into their blood and organs. "She kept on going like the Energizer Bunny," said Balcomb. "Who will lead the pod into the future? Is there a future without food? What will the human leaders do?"